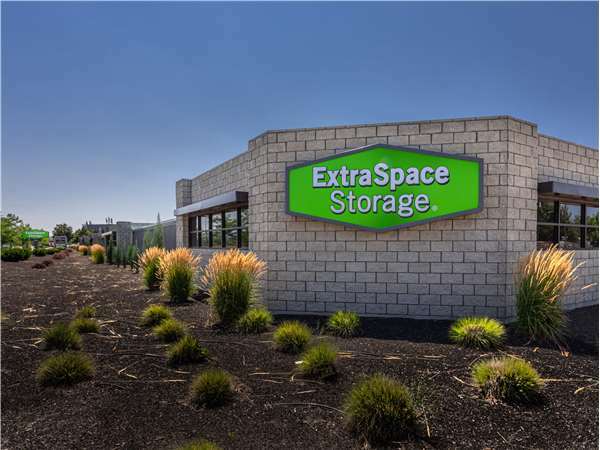 Located on S Federal Way just off Broadway Ave, Extra Space Storage serves Boise residents near Vistas, South Boise Village, Southeast Boise, Sunrise Rim, Hillcrest, and more. Locals will recognize our facility next to Dillabaugh's Flooring America. Extra Space Storage is about 1.8 miles from the Boise State campus, providing convenient options for college students in Boise who need storage over the summer or while studying abroad. Looking for self storage close to Boise Airport? Located about 2.1 miles away, our S Federal Way storage facility is an easily accessible storage solution for Boise residents and visitors! Extra Space Storage on S Federal Way can accommodate residential and commercial storage needs in Boise with a variety of storage units, climate-controlled storage, vehicle storage, and exceptional security! Our Boise storage facility has units as small as 5x10 and as large as 12x25, making it easy to store items of all sizes. Units also come with convenient features like indoor access, first-floor access, and drive-up access. With excellent security features like 24-hour video surveillance and electronic gate access at our S Federal Way location, you can store valuable belongings with peace of mind at Extra Space Storage. For year-round protection from extreme heat and cold, reserve a storage unit with climate control. Climate-controlled units maintain temperatures between 55 and 80 degrees at all times to keep your belongings safe. Need to store a vehicle in Boise? Extra Space Storage has secure outdoor parking spaces and enclosed drive-up units that provide convenient vehicle storage options for cars, motorcycles, boats, and RVs! Extra Space Storage strives to deliver a dependable self storage solution for each and every customer. We work hard to maintain a clean, secure facility at all times, and our friendly, professional staff is always available to provide assistance when you need it. Contact us today to reserve a storage unit in Boise! Drive south on Broadway Ave. Take the exit for Federal Way. Turn left onto S Federal Way. Our facility will be immediately on your left. Drive northwest on I-84 W. Take Exit 54. Turn right onto Broadway Ave. Take the exit for Federal Way. Turn left onto S Federal Way. Our facility will be on your left after Dillabaugh's Flooring America. Drive northwest on S Federal Way. Pass The Home Depot and continue west. Our facility will be on your left after Dillabaugh's Flooring America. Drive east on I-84 E. Take Exit 54. Turn left onto Broadway Ave. Take the exit for Federal Way. Turn left onto S Federal Way. Our facility will be on your left after Dillabaugh's Flooring America.